* The Weber Angelina Easel a most popular class easel and most popular display easel. 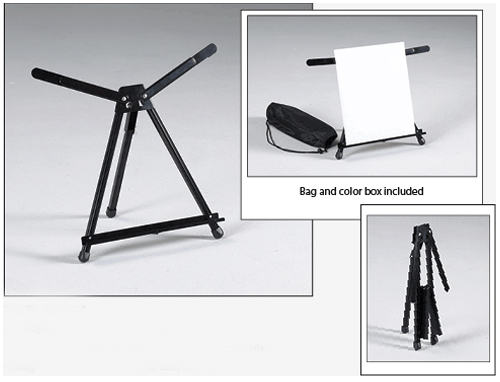 * Aluminum construction, folds to fit in the little carry case, the wings give support not common with an A-frame easel. * Excellent for display in hotels, trade fairs etc. 17" x 5" x 2"